I have a confession to make. I am a bit of a mess at airports. I have dropped tickets only to find them plastered to the front of the immigration kiosk. I have gotten so engrossed in a book that I missed a flight after a seven-hour layover. Once I almost passed successfully through customs with someone else’s suitcase. I have ex-boyfriends who are still trembling. The Big Day is a day of high alert for changing departure gates, finding yourself seated at the back of a loooong plane before a tight connection and snaking along bewildering circumferences and detours through a multitude of airport check points. I cannot believe some people are so good at it that they actually drink. While I have improved a great deal through the expat lifestyle, the last twenty-four hours is still a mine field of potential chargers left under desks and tiny, and flimsy immigration forms stuck to old ticket sleeves. When you are a part of a couple, one often knows the other well enough to remind the other of things he/she is likely to forget. When you're traveling solo, no one will be there to hustle you along. One of my “Travel for Dummies” practices is a money belt where I keep my passport and $50 in dollars and pesos. One must act as boldly in admitting one’s fears and weaknesses as in confronting them. My big purse with everything from Kindles to curling irons is no place for a passport. Tease me all you want while I basically disrobe and start digging around in my pants. Like an unborn child, my passport stays right below my belly button to touch reassuringly at every queue. Checklists are crucial and you will still goof up. You are so sure that you won’t forget that one thing that you don’t even write it down. And you know where that thinking leads. Write every task down. A great international traveler is almost always an experienced one. Don’t pretend you can yet stack up to those who have international travel down to a perfect science. Another safety gap measure that I recommend is the way-station stay at a friend’s house the night before you leave. If you have rented out your own house or have sublet your apartment (part of your plan is not to have two mortgages or rents) the tenant will have 24 hours to call you locally for internet password keys or tell you their security fob doesn't work. On your end, you have a last peaceful day nearby to relax and share a glass of wine with a friend during which time tiny things you forgot to do will likely bubble to the surface. You have one last shot. Not informing the bank of your travel plans will make using your debit card for the first withdrawal of pesos a problem. The easiest of the critical to-dos are easiest to put them off. Getting things to and from storage units if you're renting our your place is one of the last things you do. With hours of operation that read like a mortuary viewing schedule and frequently eccentric personnel working in the storage business, this can easily trip you up. I now use Closet Box storage to avoid these trips. They pick up your boxes, store them and deliver them back for less than a mover would cost. Suspected liquids in your carry-on bag is another that can delay you considerably in security while they take all your underwear out to examine it. For me it was the maple syrup wrapped in a yellow bag for my Canadian business partner. I checked that every make-up bottle was in my checked baggage only to accidentally pack the proverbial elephant in the yellow Trader Joe bag. Another mistake that's easy to make, especially if you've gotten away with it like I have, is having a suitcase over the 50 pound limit, even by ounces. Don’t underestimate how long it will take to figure out how many months of prescriptions your insurance company will allow and the hurdles that you might encounter from your doctor regarding how much they are willing to give you at once. I used to take Ambien. My doctor's response to a request for a six month prescription was as if I’d asked for a six month supply of crack. She decided that this, of all times, was the appropriate time to find me a new drug, requiring a series of doctors visits and several months to determine a substitute. Doctors can be very unmanageable. When the little things happen, give yourself credit for all the big, macro tasks that had to be accomplished to leave not for weeks, but months. Most problems can be fixed. All can be fixed if you throw enough money at them. Are these days of anxiety and chaos worth having a unique life that many people only dream about? Absolutely. For every day of hitting your head against a wall, you will have up to 180 days (on your tourist visa) of asking yourself, "Why didn't I think of this sooner?" Next up: Cash is king and other lessons on renting in Mexico. Most recent: It's not a vacation, it's a six-month or more stay in another country. With so much going on, don't let the Airport Day be your downfall. 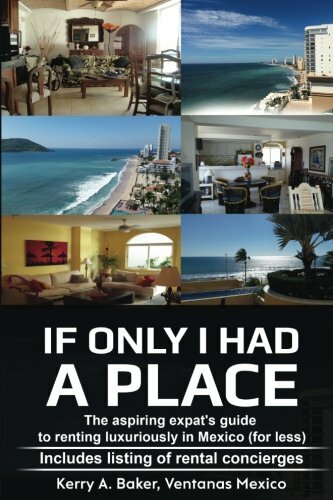 I'm a partner with Ventanas Mexico which provides insights and resources to those considering expat life in Mexico, including the new book, "If Only I Had a Place" for the aspiring expat seeking luxury places for less. 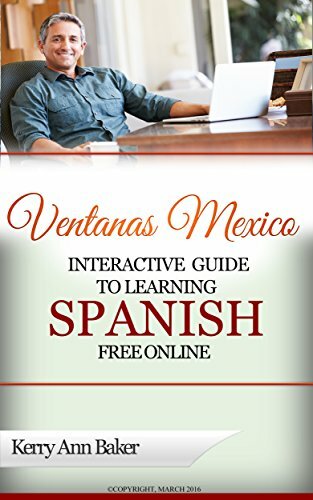 I also authored the "Interactive Guide to Learning Spanish Free Online," a curation of the best Spanish language tools on the web, organized by skill, level and type of learning. With sample lesson plans. Create a unique study plan every day. Never get bored. Start learning Spanish now from the Guide.